People whose lives have been destroyed by floods, hurricanes, and other natural disasters face a special kind of anguish. The things they trusted the most -- the ground beneath their feet, and the sky above -- have turned against them. Their most personal spaces have turned to ruins, and their most precious belongings have been destroyed. Their private misery has become a public spectacle, as cameras in circling helicopters put them on display to the entire planet. Their world has betrayed them, and they feel they have nowhere left to turn. That's why millions of people have offered support and compassion to the people of Houston in the wake of Hurricane Harvey. It's also why politicians from areas hit by Hurricane Sandy five years ago have been right to point out the hypocrisy of Senator Ted Cruz and the other Texas Republicans who turned their backs on victims in their states. 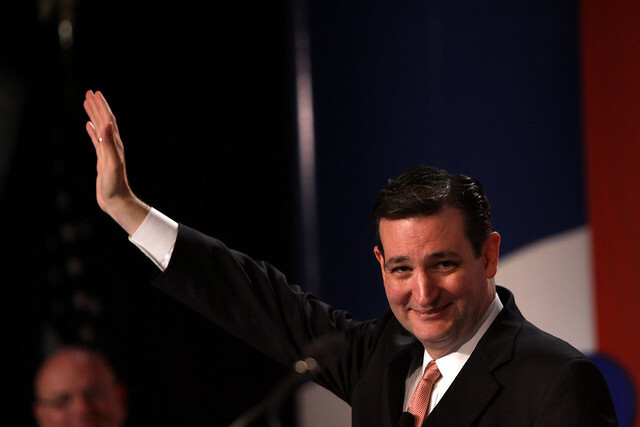 All but one member of Cruz's Texas GOP delegation voted against aid for Sandy's victims. Now that their constituents are in need, they're singing a different tune. Ted Cruz was the loudest and most aggressive Texas Republican who voted to deny aid for Sandy's victims. Now it's time for Cruz to step up, grow up, and admit he was wrong. "Ted Cruz & Texas cohorts voted vs NY/NJ aid after Sandy but I'll vote 4 Harvey aid. NY wont abandon Texas. 1 bad turn doesnt deserve another." "The congressional members in Texas are hypocrites. Even though I'm sure there's going to be some temptation by New Jersey House members in particular to drag their feet a little bit based upon what these folks in Texas did to us during Sandy, I'm going to be urging all our members to rise above that and provide the aid as quickly as possible." "The problem with that particular bill is it became a $50 billion bill that was filled with unrelated pork. Two-thirds of that bill had nothing to do with Sandy." He dismissed criticism from his fellow Republicans and others as "political sniping" and "the silliness of Washington." On Harvey, he said, "I have been spending day and night ... trying to marshal federal assets to save lives." Cruz continued to argue that his vote against the Sandy aid bill was justified, because "I didn't think it was appropriate to engage in pork-barrel spending, where two-thirds of that bill was unrelated spending that had nothing to do with Sandy."